Like a lot of you out there, I am still in a bit of daze over hearing about the death of Robin Williams. 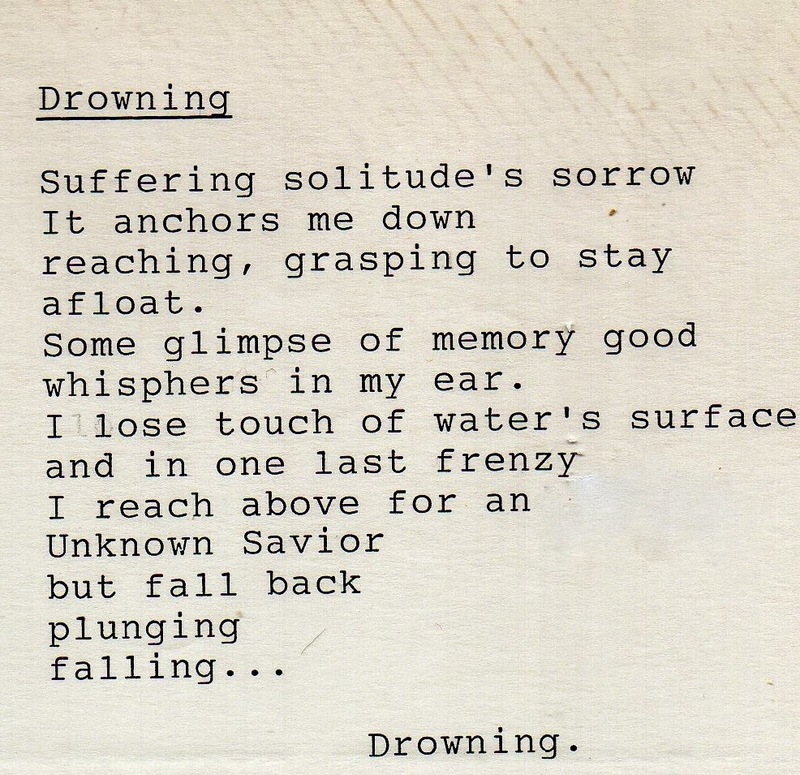 Once I heard that it was a suicide, I thought of a poem that I wrote back when I was in high school. No one can know the depths of the pain he felt except for him. If there is anyone out there on the verge of the darkness, please step back from the edge and listen. Listen to the love, not the lies. Listen to the words of encouragement from friends and family. Listen to the voices of your children, especially their laughter. Listen to the strength of your own heart beating. Just stop and listen and wait. Pick up the phone, go visit someone. Don't listen to the lies. Don't listen to the voices in your head that tell you that you're not good enough. That you are not worthy. Listen to the love, not the lies. Still deeply surprised and saddened, by the loss of such a great comedienne, he had a spark that the world may never see again. A beautiful poem Andrea and an apt tribute to Robin Williams describing an illness that will eventually befall us all in time. Thanks Victori. It is just so shocking. I have so many good memories of him, watching Mork and Mindy as a kid with my mom and brother. Then all the movies throughout the years. I hope he has found peace now.